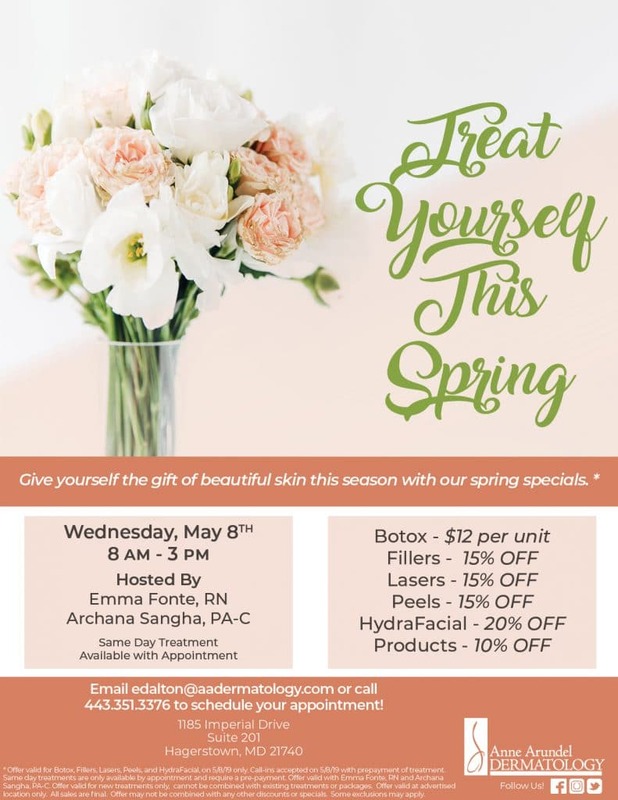 Give yourself the gift of beautiful skin this season with our Spring specials. 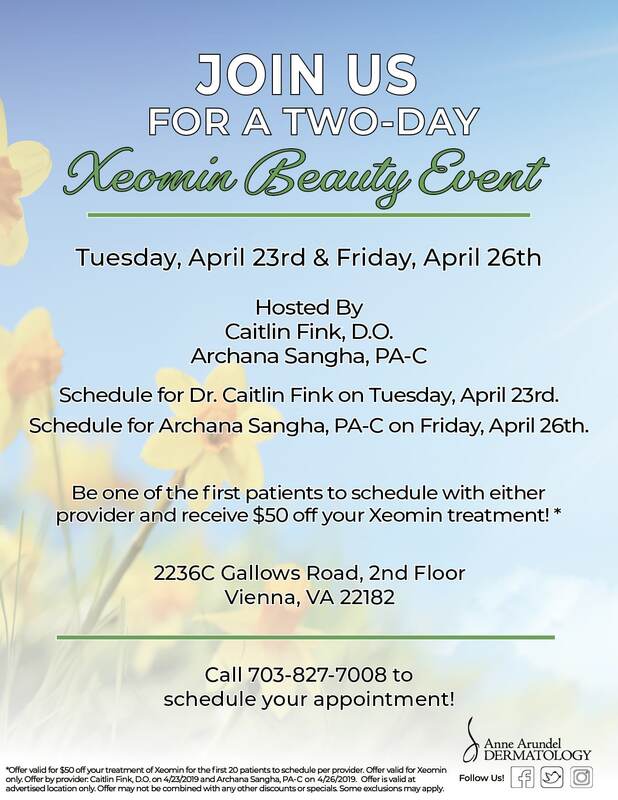 Email Emma Fonte or call 443.351.3376 to schedule your appointment. 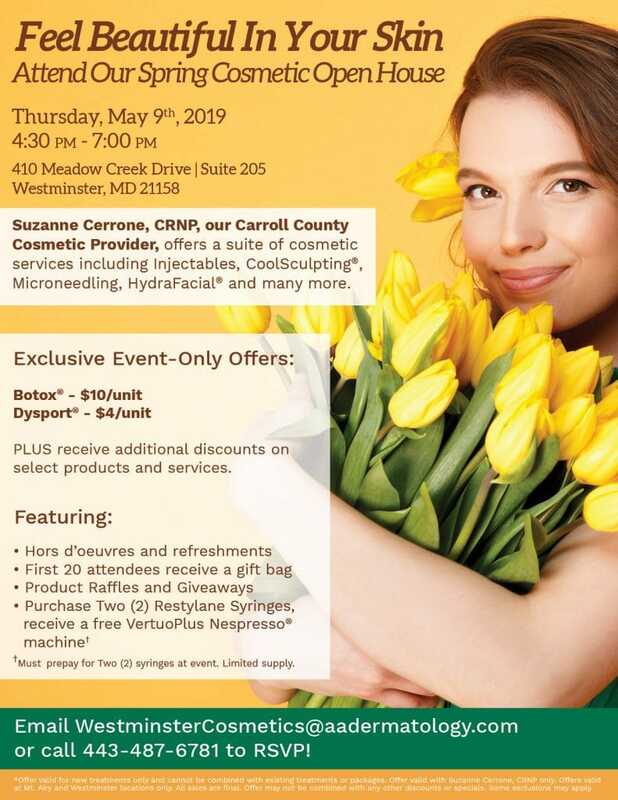 Feel beautiful in your skin at our Spring Cosmetic Open House. Thursday, May 9th from 4:30PM - 7:00PM. RSVP by calling 443-487-6781 or emailing us.